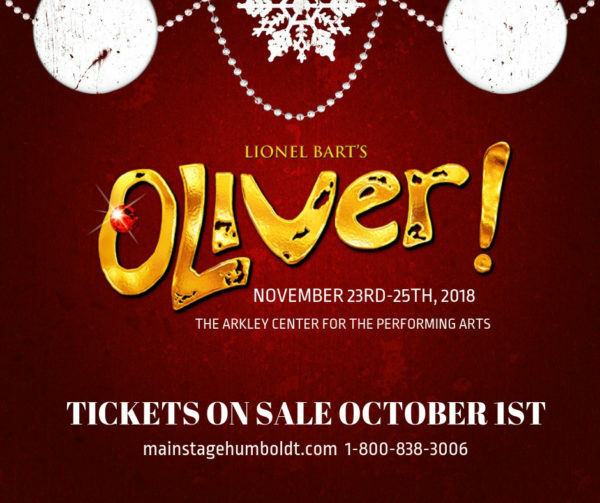 Main Stage's Oliver! comes to the Arkley Center for the Performing Arts this holiday season, running November 23rd-25th. Charles Dickens beloved orphan makes his Main Stage debut in the hope-filled musical set in the dark shadows of Victorian London. Bounced from workhouse to forced labor, Oliver Twist escapes to the streets where he meets Fagin, the Artful Dodger and a band of child pickpockets. Will he find love, home and happiness before its too late? Consider yourself part of the family with the colorful international smash that gave the world Where Is Love?, Food! Glorious Food! and As Long As He Needs Me.